» Where Will Jon Be in Fall of 2016? Where Will Jon Be in Fall of 2016? First up is something I’m attending. A major obstacle to TDD is that many people don’t have a clear sense of what Tidy Code is. TDD isn’t thrashing around with random code that happens to pass tests. But the feedback you get from TDD is only as good as your design sense. One of the best ways to learn clean design is to have someone explain bad design. 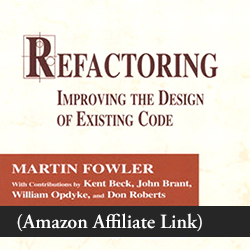 That’s why the Refactoring book devotes a section to Code Smells. If you don’t know what’s smelly and what’s not, what will you refactor toward? That’s why I’m looking forward to attending this workshop by Llewellyn Falco. It’s on September 30, in San Jose, California. I’m going for the first time to #Pragma! It’s the Italian Developers Conference for iOS/macOS/et cetera folks. There, I’ll be doing two things: a TDD workshop, and a talk on Model View Presenter. I’ll explain more below. The TDD workshop is on October 12. My talk will be during the conference, which runs October 13–14. 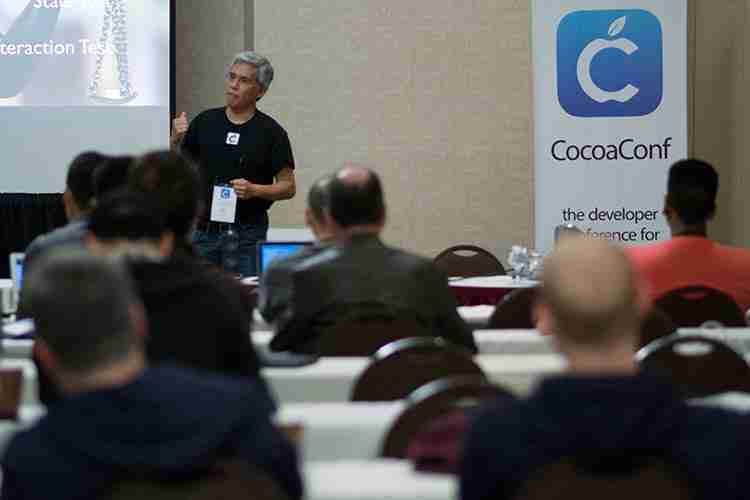 I first attended CocoaConf San Jose in 2013, and was impressed by the combination of quality and intimacy. I returned in 2014 as a speaker. 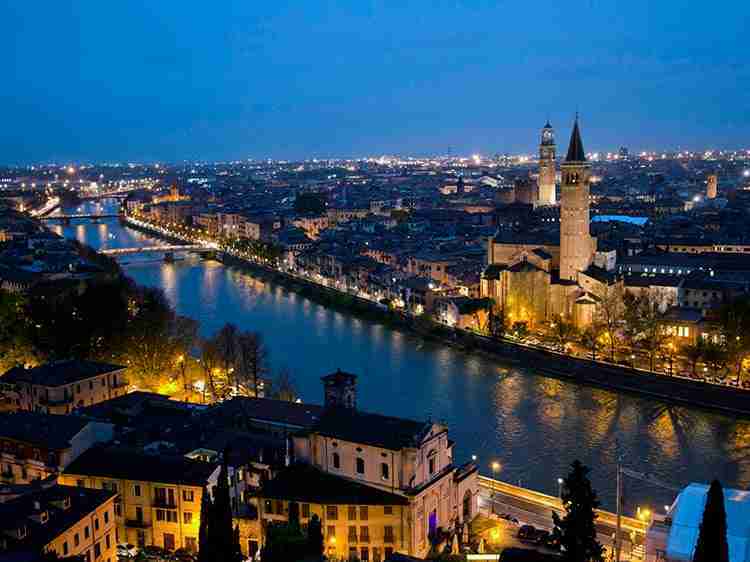 This year, I’ll be doing the same two things I plan to in Italy, except in my neighborhood: the TDD workshop, and the talk on Model View Presenter. The TDD workshop is on November 3. My talk will be during the conference, which runs November 4–5. So what’s this workshop? 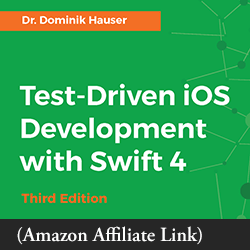 It’s an introduction to TDD for iOS developers. Like riding a bicycle, TDD is something you learn by doing. In this hands-on workshop, we’ll start with a simple exercise to learn the basics of the TDD Waltz. Then we’ll make things more complex, work with a view controller, and finally discuss ways to tackle legacy code. And what’s the talk about? I’ll explain how to use Model View Presenter for iOS. I think people are getting the message that untamed Model View Controller often results in a mess. But then what do we do instead? MVVM (Model View View-Model) is an alternative that’s popular among iOS developers. But I see drawbacks! At least, in the way it’s usually done. No, I’d rather use Model View Presenter. Come and see what it’s about. Fall 2016: Will I see you there? Whether I’m attending or speaking… I hope to meet you there. Whether you come to my talk, or attend another (there’s always so much good stuff at these conferences)… look for me and say hello. I really look forward to working with you in TDD workshops. And whether we meet in Italy or in California… let’s meet! Will you be at any of these events? Let me know by leaving a note below!